1. Place a medium frying pan over medium heat. 2. Add the tofu cubes and mushrooms. 4. When cooked, add the soya sauce and black pepper powder. 6. Transfer to a serving dish. 7. Serve with rice or as a snack. 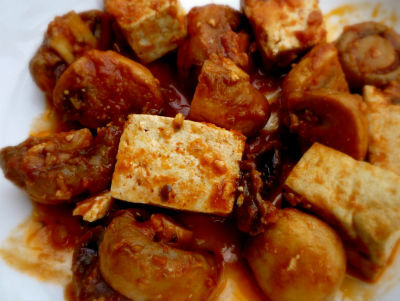 Feel free to comment or share your thoughts on this Tofu and Mushrooms Recipe from Awesome Cuisine.